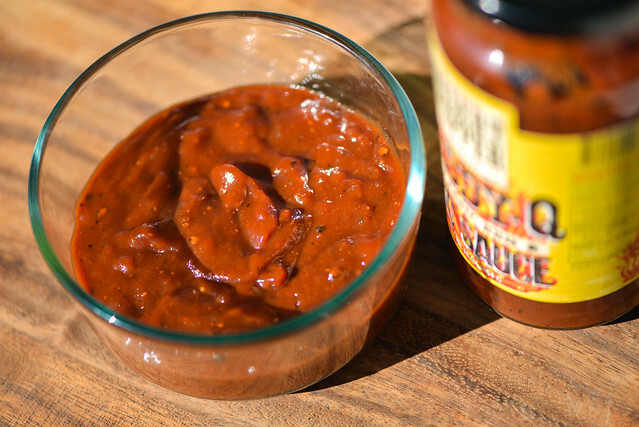 Suffering an identity crisis between salsa and barbecue sauce, this interesting, chunky sauce is left trying to find a proper home on the grill. Desert Pepper started on border of New Mexico, Texas, and Mexico as a chili wreath company with Park Kerr at the helm. As that business took off, Park considered what to do for the 9 to 10 months a year it was not holiday season, and salsa was the answer. 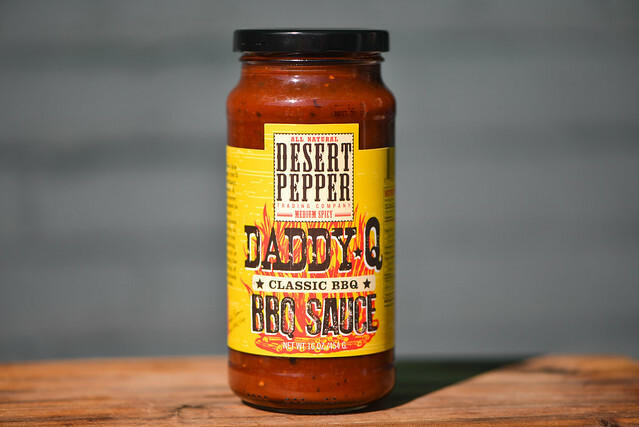 With some recipe help from his mother, Norma, Park started the El Paso Chile Company, which later changed into the Desert Pepper brand known today that boasts ten salsas, four dips, and four barbecue sauces. The aroma can easily be equated with a salsa sweetened by molasses. The acidic tomato is very strong here, which mixes with peppers and onion to give it is salsa-like smell. A heft of garlic sits right beyond the deep molasses, and a light smokiness comes out as you take in a deeper whiff. This dark maroon sauce is incredibly thick. From a suspended spoon, it takes a while for any sauce to fall at all, but when it finally does, it comes off in one big chunk, with a small glob sometimes following that, and leaving a thick coating of sauce left clinging to the spoon. It's also a very textured sauce, with large pieces of veggies giving it a chunky appearance. Although it's super thick, dark, and opaque, you can still see some specs of black pepper and other spices here and there. 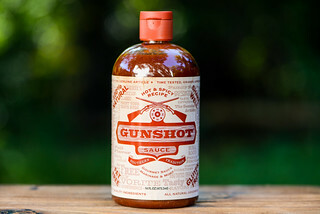 The sauce starts off with a strong acidic tomato flavor. As it begins to settle on the tongue, a deep molasses comes in, giving the sauce a bit of sweetness. The super textured nature of this sauce invites you to chew it, which is when bursts of onion, garlic, pepper, and more tomato come in. 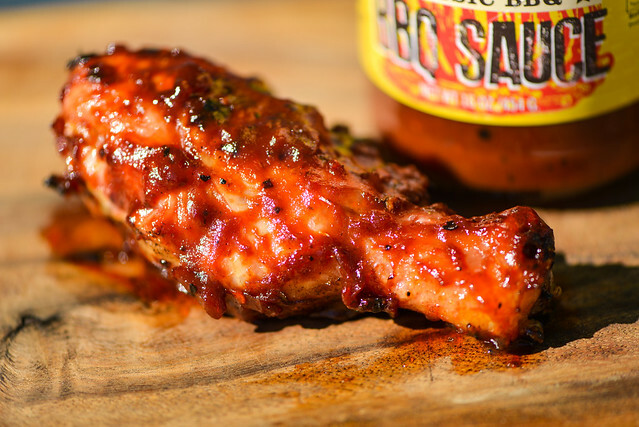 As the sauce leaves the tongue, a mild smokiness makes itself known, and then mixes with heat that gives a little tingle to the tongue. As that heat lingers, a final tart and pungent flavor remains along with it, defining the aftertaste. This thick sauce coated the chicken leg in a chunky fashion. As it cooked over indirect heat, some sauce baked down, but then burned off over direct heat. The sauce had a super tangy flavor, with both tomato and vinegar giving it sourness. The tomato remained front and center, with molasses playing a supporting role. The veggie bits also clung on, giving the leg an interesting texture not usually equated with barbecue sauce. Only after multiple bites did any spice start to come out, and it was much more mild compared to out of the jar. Desert Pepper is a salsa company first, and this sauce seemed like an attempt to keep to their roots—it tasted like a salsa with added sweetness, thickness, and tang. 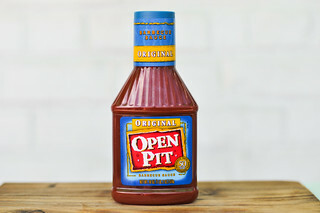 As much as I love their salsas, I couldn't quite find that same admiration for their barbecue sauce as it pushed the tomato a little too far and the chunky style didn't quite work for barbecue. 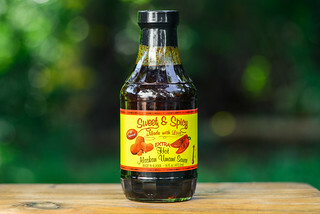 The flavor wasn't bad, it just was different in a way that left me questioning if I'd ever want to slather it on my chicken or ribs. This identity crisis had me wondering what I would use it on, and could only think of it as a topper for burgers with melted pepper jack or other Tex-Mex influenced dishes I may want to give a little barbecue flavor.